A BIG envelope came in the mail today address to DinoEgg, his very first letter from a Friend! He was so excited that he tore the envelope open the seconds he lay his hands on it. 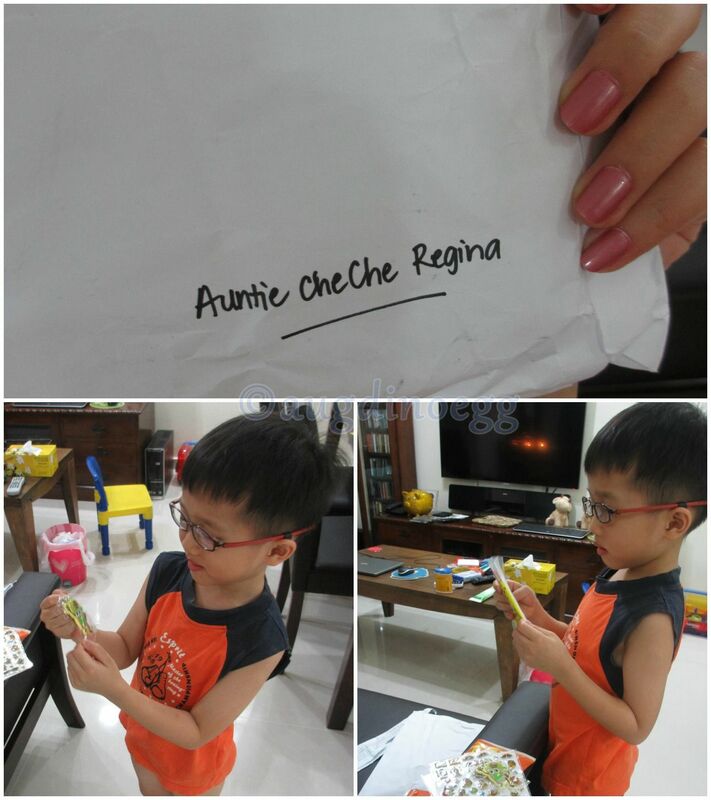 I told him that all these are from Auntie che che Regina, he goes "Wow!" 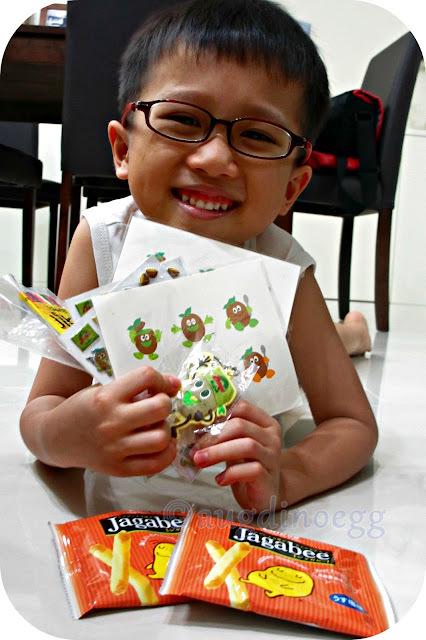 admiring the stickers, tattoo, key chain. The he says "Mummy, I think she must like me very much." and give me a big grin.